One thing you will learn about sub contracting for order fulfillment is that it frees up a lot of time and spares you from the frustration of many other issues like customer tracking, shipping and storing. 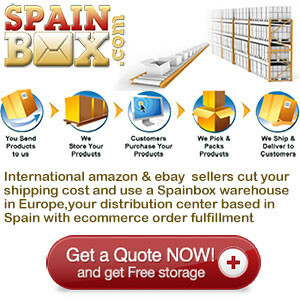 With various order fulfillment software that is available, you can do all of this without paying someone else to do it. So, is it really worth it to pay someone else to handle your order fulfillment needs? Order fulfillment can be a very tedious task and requires the most attention to detail in order to ensure that the order fulfillment is correct. You need to have a data base of customers’ information which includes their purchase details, address and phone number. This information has to be carefully organised so not to mix up anything during the order fulfillment process. Then there is the shipping that comes with order fulfillment. Shipping preferences by the customer must be adhered to and prices have to be calculated depending upon the customer location. This may require the use of a third party software. Lastly, let’s not forget about the packing and storing in the order fulfillment process. The items obviously have to be stored somewhere and will need to be packaged for shipping. So in total, you have three positions that would likely need to be filled to complete your order fulfillment. Think about it this way, you may have several employees doing your order fulfillment projects at any given time or you may be doing it yourself. Either way, you are likely spending a good bit of time and money already in the area of order fulfillment. It is probably very close to what you would spend if you contracted these order fulfillment services out. Therefore, it makes sense that you pay someone else to do your order fulfillment services and spare yourself the trouble because if you do the math, you would need to have a minimum of 3 employees handling different tasks in the order fulfillment area. At just minimum wage with minimum of only 3 employees soon adds up to high overheads, and it does not even include material you will need for packing the products or the cost of renting a warehouse to hold your products. On the other hand, you may just be starting off in your business and may not have a very large need for order fulfillment services. If this is the case then, you may be able to get away with doing it yourself but even then you still need the software to do it, a warehouse to store the product and time to manage everything. Weigh your options and you are likely to find that hiring someone to do your order fulfillment services for you is definitely worth it.